We’re officially in the swing of fall! 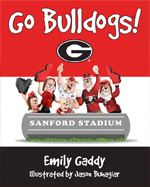 As the weather gets colder and the days get shorter, curl up with a Mascot book. This month, we’re releasing new fiction to take you on your next adventure, a sports-science exposé that will change the conversation around football, coffee table books to help you find your next favorite brew, and much more. With four major release days throughout the month, don’t hesitate to preorder your copies well in advance! 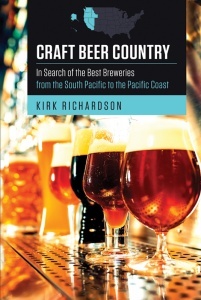 Find our books here at Mascot Books, on Amazon, Barnes and Noble, or wherever books are sold. 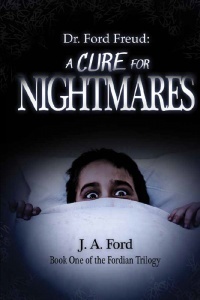 Dr. Ford Freud: A Cure for Nightmares by J.A. Ford Eight-year-old Jeremy Bracken is terrorized in his dreams by the man in the dark suit. Can world-renowned child psychiatrist Dr. Ford Freud save him? This mysterious journey of developmental psychology and horror is a critical edition to the library of any reader interested in the enigma of the human mind. 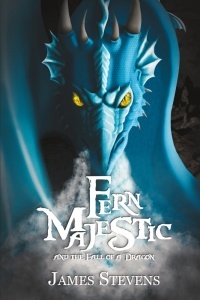 Fern Majestic and the Fall of a Dragon by James Stevens Fern Majestic lives a life of solitude as a result of being labeled as a traitor by the ruler of Loustof. When impending doom threatens his village, Fern bravely rises to the perilous challenge time and time again. As he battles dragons and centaurs on a mission to rescue the King’s son, he finds himself entrapped in a web of conspiracies and comes face to face with his shrouded past. Will Fern choose to save his newfound friends? Or will he sacrifice the world that has wronged him to the rule of evil? 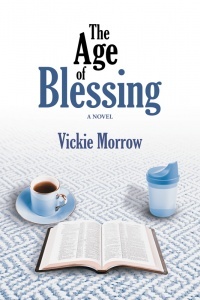 The Age of Blessing by Vickie Morrow The golden years are tarnished for Corinthia Pearl Jacobs, a proud Daughter of the Confederacy, and Ada Passmore, a Civil Rights activist from the North. Both Cori and Ada have strong constitutions shaped by their respective past experiences and environments. When circumstances force them to share a home, they are soon forced to confront the prevalent racial, social, economic, political, and religious challenges posed by society. Defying ageism, challenging contemporary parental methods, and confronting social injustice, these women probe the deep roots of the problems they face and examine how differing perspectives have the power to form solutions. Their electrifying pasts collide with their shared present when their relationship faces its greatest challenge—the 2008 election. Will things ever be the same? 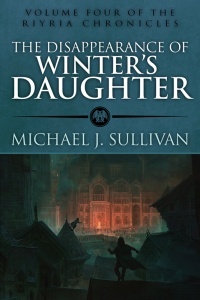 The Disappearance of Winter’s Daughter (Riyira Chronicle Book 4) by Michael J. Sullivan When Gabriel Winter’s daughter mysteriously disappears and is presumed dead, the wealthy whiskey baron seeks revenge. Having lived in Colnora during the infamous Year of Fear, he hires the one man he knows can deliver a bloody retribution – the notorious Duster. Ride with Royce and Hadrian as the cynical ex-assassin and idealistic ex-mercenary travel to a mysterious old-world city filled with nobles claiming descent from the imperial aristocracy. Riyria’s job appears easy: discover what happened to the missing duchess and, if she lives, bring her home . . . if not, punish those responsible. But nothing is simple in the crowded, narrow, mist-filled streets of Rochelle, where more than one ancient legend lurks. 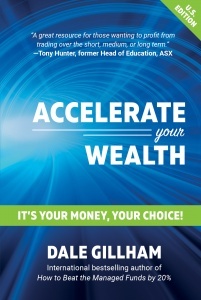 Accelerate Your Wealth: It’s Your Money, Your Choice by Dale Gillham Are you looking for a proven, low-risk approach to investing directly in the stock market? Do you want to accelerate your wealth using simple stock market investment strategies? LOOK NO FURTHER! The bestselling author of How to Beat the Managed Funds by 20%, Dale Gillham, provides you with another compelling book on why investors and traders should take the bull by the horns and invest directly in the stock market. With Dale’s no-nonsense approach to trading, everyone from millennials to those in retirement will gain the confidence and know-how to achieve very rewarding returns. Accelerate Your Wealth is packed with more of Dale’s simple yet workable strategies that provide a roadmap to master the stock market with confidence, including: -How to take control of your financial destiny -How to stop losing and start making money -Secrets to building a powerful portfolio -The power of compounding your investments -How to increase your probability of taking profits from the market -Trading for a lifestyle -Achieving financial independence Those who follow the strategies outlined in Accelerate Your Wealth can achieve better returns than the majority of professionals and pocket the fees they would otherwise pay to have someone else manage their money. 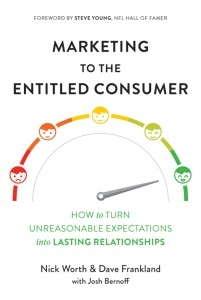 Marketing to the Entitled Consumer: How to Turn Unreasonable Expectations into Lasting Relationships by Nick Worth and Dave Franklin with Josh Bernoff Now more than ever, marketers face a paradox. Consumers expect your brand to know who they are, what they want, and why and to deliver results at the exact moment they’re needed. But the seemingly never-ending stream of advertisements and inbox clutter makes many resent everything marketers do. In this environment, traditional approaches just won’t cut it. Marketing to these entitled consumers requires a new strategy: consumer-first marketing. 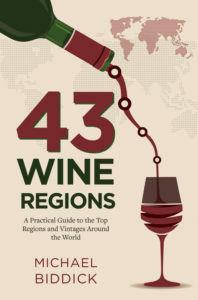 And this book is the first to lay out how to do it. Based on focus groups and survey answers from real consumers, combined with the authors’ experience with hundreds of different brands, Marketing to the Entitled Consumer shows you exactly how to apply consumer-first marketing in your organization. You’ll learn which data to collect—from purchase histories to pollen counts—and how to deploy it consistently across online, mobile, and real-world channels. You’ll master the art of building meaningful consumer connections with the three R’s: reciprocal value, relevance, and respectful empathy. 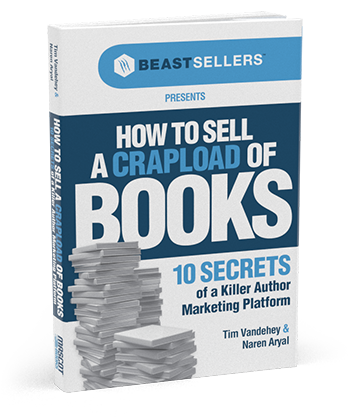 You’ll even get instructions on how to win over your fellow marketers and the rest of your company. Marketing to the Entitled Consumer features practical case studies from dozens of marketing practitioners and thought leaders—learn how a clothing retailer, a self-storage company, and a European department store all personalized their marketing outreach strategies to suit their individual customers and how those changes maximized company growth. Read the book that the legendary marketing thinker Don Peppers called “a warning shot across the bow of traditional marketing.” Then get to work. Your entitled consumers are ready for a new approach . . . are you? JFK: The Last Speech by Reuinion ’64, Inc. JFK: The Last Speech explores the dramatic relationship between two seminal Americans—President John F. Kennedy and the poet Robert Frost—which reached its tragic climax in a surprising encounter with Soviet Premier Nikita Khrushchev at the height of the Cold War. 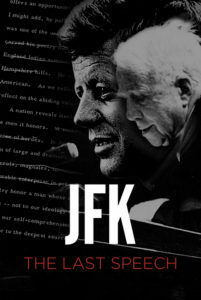 Born out of these events is Kennedy’s remarkable speech about poetry and power, which alters the life course of a group of Amherst College classmates who witness this compelling address and continue to exemplify in their contemporary lives a portrait of the challenges facing America. 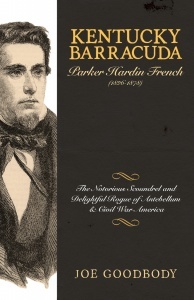 Kentucky Barracuda: Parker H. French by Joe Goodbody Barracuda: A con man, hustler, or swindler. Or, to put it more directly: Parker Hardin French. Though a notorious scoundrel in his time, French has been relegated to a minor footnote in American antebellum and Civil War history. Through his research into primary sources, Joe Goodbody pieces together a picture of Parker Hardin French as he lived and schemed, bringing him out of the shadows and into the spotlight. 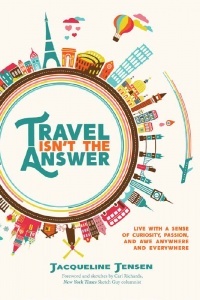 Travel Isn’t the Answer by Jacqueline Jensen Travel Isn’t the Answer is not a travel guide. Rather, it champions curiosity, passion, and awe as universal truths not dependent on location. Join author and TEDx speaker Jacqueline Jensen on this challenging, inspirational, and critical examination of travel and the purposes it serves, and you will emerge more experimental, curious, and brave on the other side. 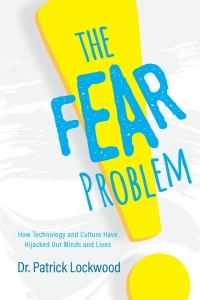 The Fear Problem: How Technology and Culture have Hijacked our Minds and Lives by Dr. Patrick Lockwood Fear is a natural, biological response with plenty of evolutionary benefits. But has it gone too far? In The Fear Problem, Dr. Patrick Lockwood discusses exactly that. Are we ruled by fear? How does it relate to divisions in the West across all aspects of life, including politics, religion, wealth inequality, and other conflicts? Drawing on psychological and biological research, Lockwood crafts a well-argued, revolutionary image of the human condition in all of its anxiety. Is there any hope for us? Or is fear destined to destroy society as we know it? 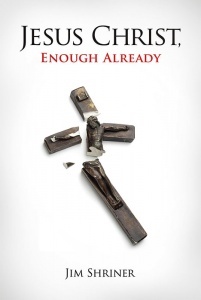 Jesus Christ, Enough Already by Jim Shriner Jim Shriner had been a believer his entire life. Born into a family of devout Catholics, he didn’t have much of a choice. Between altar boy responsibilities, confession, and receiving the Holy Communion, Jim’s life was heavily enveloped into the Catholic Church. But as a teenager, at the encouragement of his father’s own awakening, Jim left Catholicism behind—much to the dismay of many relatives—and became a born-again Christian, dedicating his heart and soul to the religion. He hosted a workout show on Christian TV networks, appeared on The 700 Club, and brushed shoulders with the biggest names in the Christian community. Life was good, and he found himself grateful for his full religious immersion—especially when his wife’s health started to deteriorate. After years of praying for his wife’s health to improve and watching her endure intensive pain, a rapid physical decline, and multiple invasive surgeries, Jim had enough. Why had God abandoned him when he needed Him most? He was fed up hearing that his wife’s constant suffering was “all part of God’s plan.” It was certainly enough to cause Jim to throw in the towel, raise his hands, and say, “Jesus Christ, enough already!” As Jim sees it, prayer may be balm for the soul—but it’s useless as a “miracle elixir” and distracts from science, medicine, and nutrition. In this ultimately candid and searing memoir, Jim pulls back the curtain on his religious viewpoints, raising questions and doubts about faith, devotion, and the healing power of God. 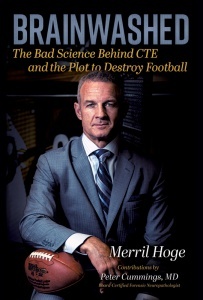 Brainwashed by Merril Hoge The outcry surrounding CTE is missing something critical: the science to justify it. When post-concussion syndrome forced star NFL running back Merril Hoge into early retirement in 1994, research on football-related head injuries wasn’t a priority. At the time, football was heavily influenced by a tough guy culture, and little was known about concussions and their potentially dangerous effects. Then the tragic death of Hoge’s ex-teammate Mike Webster in 2002 launched a wave of fear after an autopsy determined he suffered from an obscure brain disease—chronic traumatic encephalopathy (CTE). The media pounced. Concern over player safety soon became a war on football at every level, with one scientist even declaring youth football “child abuse.” In an effort to set the record straight, Hoge and board-certified forensic neuropathologist Dr. Peter Cummings explore the hidden agendas and misinformation fueling the CTE hysteria machine. Armed with extensive research, critical insight, and expert interviews, they address some of the common myths surrounding the disease, examining significant flaws in the often-cited studies and exposing the sensationalistic reporting that dominates today’s CTE dialogue. Compelling, accessible, and ultimately revelatory, Brainwashed exposes the biases and unsubstantiated claims crippling true scientific advancement in the area of CTE research. This is a must-read for anyone who cares about the future of youth sports and the survival of our nation’s most beloved game. 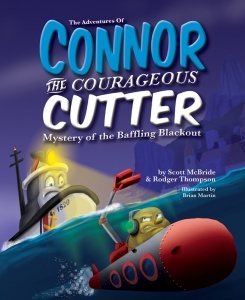 The Adventures of Connor the Courageous Cutter: Book Three: Mystery of the Baffling Blackout by Scott McBride and Rodger Thompson As Francis the Freighter attempts to bring fuel to the boats in Serendipity Sound, a mysterious power outage riddles Beacon Island and prevents him from safely entering the port. Will Connor and his friends be able to solve the mystery of the baffling blackout? Join all of your Serendipity Sound pals on an investigation full of critical thinking skills, friendship, anti-bullying messaging, and an exciting narrative chocked full of lovable characters! 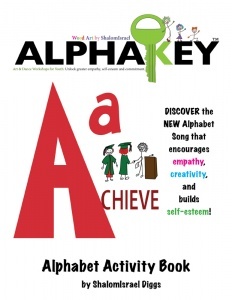 Alphakey Alphabet Activity Book by ShalomIsreal Diggs Jam-packed with exciting activities involving new vocabulary words of empathy, creativity, understanding, self-esteem, and commitment to self and others, Alphakey’s Alphabet Activity Book is a great addition to the library of any kid with big dreams! Color, draw, and play your way through fun activities involving a new, powerful take on an early education staple, from Achieve to Zeal! 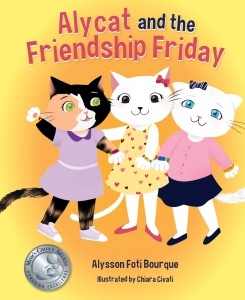 Alycat and the Friendship Friday by Alysson Foti Bourque It’s finally Friday, and Alycat is excited to go on a field trip with her friends. But when she doesn’t have anyone to sit with on the bus, Alycat feels left out. Can she use her creativity and imagination to help everyone feel included? Alycat and the Friendship Friday will teach readers that making new friends isn’t as scary as you might think. 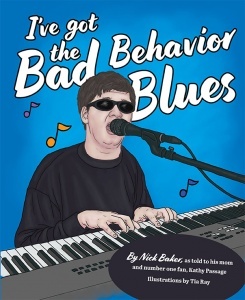 Bad Behavior Blues by Nick Baker Join Nick, a blind and autistic musician, as he shares they story behind one of his favorite original songs, “Bad Behavior Blues.” Witness the healing powers of music, the unique struggles of differently-abled people, and how everyone is special and capable in their own way! 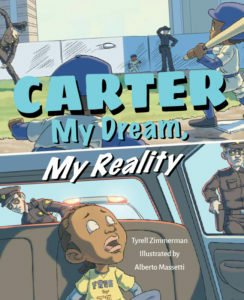 Carter My Dream, My Reality by Tyrell Zimmerman It’s a scary world out there for little Carter. Scary things are happening every day and he doesn’t understand why. Join Carter as his mom helps him understand these scary situations and teaches him how he can make a difference in the world. Carter: My Dream, My Reality is a great starting point for having guided discussions with your child that foster healing and recovery after they face traumatic experiences. Cece and Roxy: How We Came To Be by Pascha Adamo Best friends from the start, CeCe and Roxy become family when Roxy’s owner must go away. Meet the family who fosters this lovable pit bull. 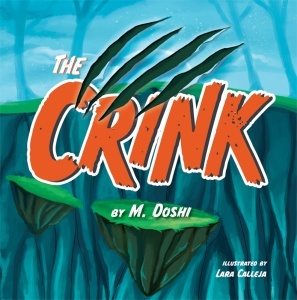 The Crink by M. Doshi A beastly beast of beastliness, a Crink will make you shriek. It’s mad and sad and oh so bad. Go on and take a peek! 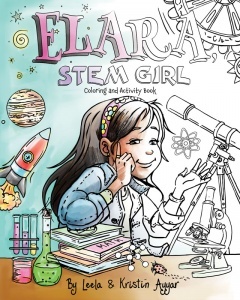 Elara STEM Girl Coloring and Activity Book by Leela Ayyar Elara loves all things STEM: Science, Technology, Engineering, and Mathematics! Featuring word searches, coloring pages, and a scavenger hunt, this exciting book promotes and fosters an interest in STEM with a feminist twist. Jump into this fun and interesting activity book as soon as you can! 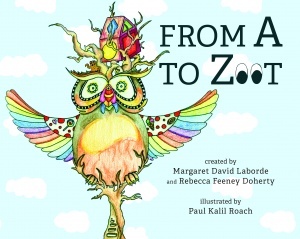 From A to Zoot by Margaret David Laborde and Rebecca Feeney Step into the whimsical Land of Zoot where the lovable zootsnoot invites all on a magical journey to meet his friends, who spark the imagination and inspire self-confidence and positive thinking. 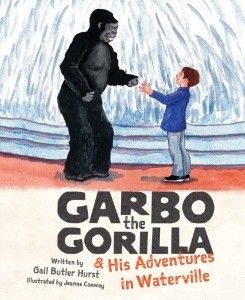 Garbo the Gorilla and his Adventures in Waterville by Gail Hurst All Garbo ever wanted was a friend, but everyone was afraid of him… until Thomas. Life was better than ever with his new friend, but Garbo’s troubles were far from over. Would friendship be enough to save the day? This book is a must-read for anyone interested in animals, friendship, or adventure! 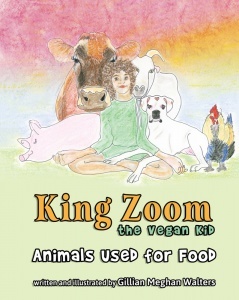 King Zoom the Vegan Kid: Animals Used for Food by Gillian Meghan Walters Billions on billions of animals are killed for food each year, and there are tons of questions around this issue. Why is this happening? What is the extent of the abuse? What can each of us do to stop it? Is Veganism really so hard? Come find out with King Zoom the Vegan Kid, and empower yourself to make positive change! 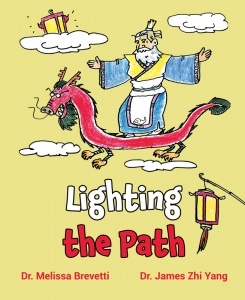 Lighting the Path by Dr. Melissa Brevetti and Dr. James Zhi Yang Confucius is an ancient teacher, fluent in Chinese. He’s coming to your classroom in a dragon time machine! He has some things to teach you about the Middle Way. Sharing, patience, and a brand new language—that’s what you’ll learn today! With colorful illustrations and both English and Chinese text, Lighting the Path is the perfect introduction to Chinese culture and language. Learn about Confucius’s principles and the importance of balance and kindness. 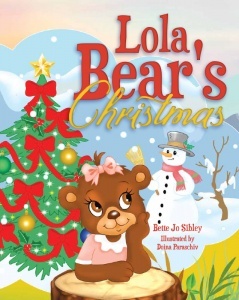 Lola Bear’s Christmas by Bette Jo Sibley Lola, a little Smoky Mountain bear, dreams of enjoying the Christmas festivities, but Momma and Pa tell her she has to hibernate. Is there a way for this little bear to see Santa? 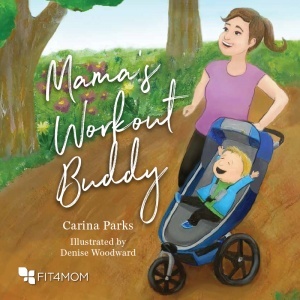 Let the Christmas spirit captivate you on Lola’s magical, heartwarming journey Mama’s Workout Buddy by Carina Parks Let me tell you my favorite part of the day. It’s when Mama works out and I get to play. Look at her lunge, squat, and run, Stroller Strides is always such fun! 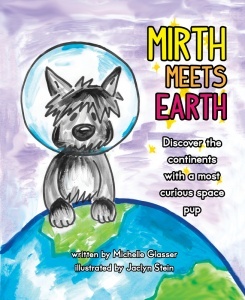 Mirth Meets Earth by Michelle Glasser Mirth moves like a flash in the night, but she takes us on a global adventure that’s out of sight. She might look like your neighbor’s pet, but Mirth comes from a distant planet we haven’t discovered yet. As Mirth zips around the sky, she shows us Earth with a fresh set of eyes. From above, Earth looks peaceful and well; Mirth gives us an ambitious introduction to the continents on which we dwell. Mirth will return to see what more is in store; till then, she hopes we get curious about what lies beyond our front door. Mirth shows us we are connected by this one home, one we must care for and roam. Read with your child while your fingers walk around the globe. Look things up. Encourage questions. Catch Mirth’s curiosity—it could last a lifetime. 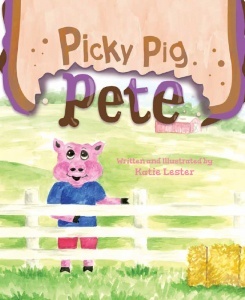 Picky Pig Pete by Katie Lester Ever heard of a picky-eating PIG?! Jump into this adorable, rhyming story about a picky pig and his favorite meal! Will Pete ever try something new? 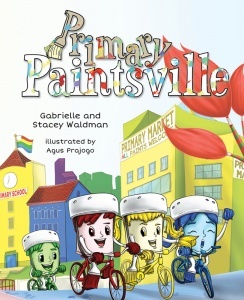 Primary Paintsville by Gabriella and Stacey Waldman There’s a new color in town! Gary Green has arrived in Primary Paintsville to meet his classmates only to discover that they are all red, yellow, or blue. When they have a tough time accepting Gary Green because he’s a different color—not a primary color like they are—Gary knows what he has to do. Follow Gary Green on his journey as he teaches both his teacher and his classmates that Primary Paintsville is a town of many colors in this tale of acceptance and tolerance. 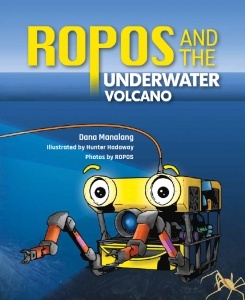 ROPOS and the Underwater Volcano by Dana Manalang Travel deep into the ocean and explore with ROPOS, a robot built for the deep sea! ROPOS finds an underwater volcano and is excited to learn more about it! ROPOS and the Underwater Volcano is full of stunning images from real ocean expeditions. Super Satya Saves the Day by Raakhee Mirchandani Super Satya is ready to have a super day, including finally conquering the tallest slide in Hoboken. But her day takes a not so super turn when she realizes her superhero cape is stuck at the dry cleaner. Will she be able to face her fears, help her friends, and be the true hero everyone knows she is? 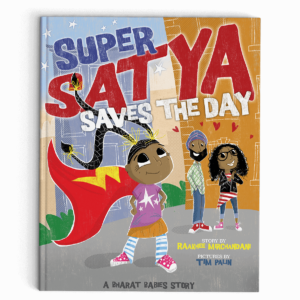 Super Satya Saves The Day, written by Raakhee Mirchandani, illustrated by Tim Palin, and published by Bharat Babies, introduces Satya, a precocious Indian-American superhero and will be in bookstores Fall 2018. 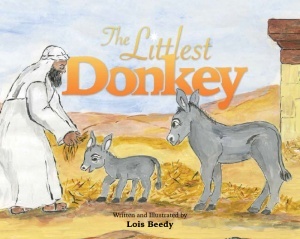 The Littlest Donkey by Lois Beedy A smallest donkey named Nehru is the subject here In a story of tolerance told with children all near. A lesson in kindness, helping, and God, No matter your size, prepare to be awed! 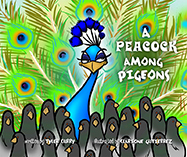 A Peacock Among Pigeons by Clarione Gutierrez and Tyler Curry A Peacock Among Pigeons is an LGBT-themed hardback children’s book that tells the tale of learning how to stand out when you can’t fit in. 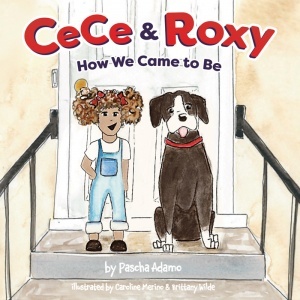 This children’s story teaches the importance of celebrating our differences and learning to love the feathers you live in. Peter the peacock doesn’t know how it happened, but he found himself growing up in a flock of pigeons. Surrounded by a world of grey, he found himself feeling less than his peers and was embarrassed by his feathers. After he fails to blend in, he decides that it’s time to learn to fly on his own. Along the way, he meets new bird friends from all different flocks that teach him a lesson he will never forget. 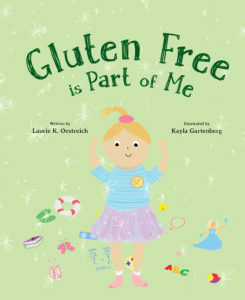 Gluten Free is Part of Me by Laurie Oestreich Things that make us different can sometimes make us feel limited — especially if that limit is about what you can and can’t eat. Follow along to learn more about celiac disease, what it is, why it happens, and how it affects those who’ve got it. The most important thing though? Remembering that being gluten free is only one part of you! Go Bulldogs by Emily Gaddy Ride along with a family of Bulldogs, study with the Student Bulldogs, and cheer on the Football Bulldogs as they get ready for the tailgate party and big football game. Have a laugh as the college girl asks, “Do you like my game day dress?” in this college game day story. 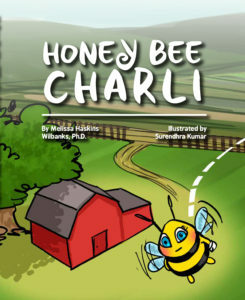 Honey Bee Charli by Melissa Wilbanks Come along with Charli, a young honey bee, as she ventures out of the hive for the first time. Share her adventure-filled day, learn about the busy life of a honey bee, and find out the important lesson she learns! 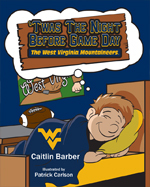 Twas the Night Before Game Day – WVU by Caitlin Barber Join a mini-Mountaineer fan as he experiences a West Virginia University football game. See the passion and love the state of West Virginia has for WVU and its football program. Read along as the mini-Mountaineer goes on an adventure around Milan Puskar Stadium and watches his favorite team win! Can you find any words that rhyme as you read?